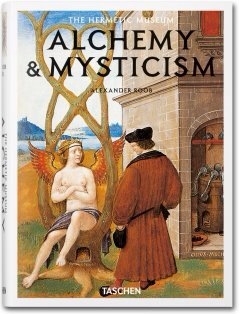 In the Ashmolean Museum bookstore I found a copy of “Alchemy and Mysticism: The Hermetic Museum” by Alexander Roob – the closest I could get to the missing book. A heavy tome,full of wood cuttings and illustrations connecting medieval mysticism with alchemy. Images include hieroglyphs and early scientific illustrations in the fields of medicine, and chemistry. Too heavy for my suitcase, I left it to be rediscovered by another. This entry was posted in Reading, books, book review, travel, places to visit, historical sites and tagged A Discovery of Witches, Ashmole, Ashmolean Museum, Deborah Harkness, England, historical fiction, history, Oxford, Oxford University, travel. Bookmark the permalink.